Bedrest has its benefits. Convalescence gives you clarity. Those are a couple of positive lessons that business owners can learn from what otherwise might seem like a negative situation: recovering from major surgery. Thousands of business professionals face some kind of surgery every year. For many, the recovery can be rocky, filled with doubts and anxieties about rebuilding the business from which they had to walk — or limp — away. Lost sales, unfinished projects, missed marketing and networking opportunities, and fears of an "out of sight, out of mind" slowdown in revenue are among the challenges confronting entrepreneurs who are temporarily sidelined by surgery or other health issues. But extended recovery time can also build "resiliency muscles" that serve them well when they're back on the job. 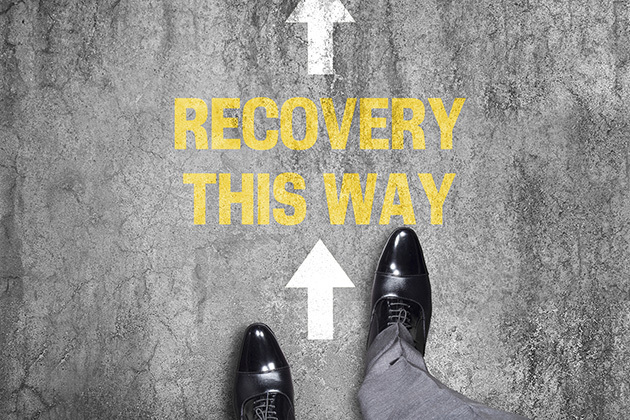 Many of the coping skills you learn during recovery can apply to business. Dig deep. Recovery takes time — and patience. It's easy to believe in your company when sales are robust. It's more critical to do so when they're not. Down doesn't mean "Disabled." Rehab offers time for reflection, so do dips in your business. Make the most of the gift of time by deciding what's not working, and what you can do to boost your bottom line. Focus on gain, not pain. Think how surgery helps, not how it hurts. Consider the payoff, not the price as you revise your website, launch a blog or train an assistant. Talk away your troubles. Start each day of your convalescence by telling yourself that you're "feeling and healing better." Affirmations work wonders in your career, too. Use positive self-talk to seal your success. Look back, and ahead. Recall how you rebounded from previous surgeries or physical challenges. And set goals for overcoming this challenge. A great way to deal with professional hardships is to recall your past successes. Determine what it will take to bounce back from each setback, and decide what steps you need to take when. Meet 'em before you need 'em. Friends are always there for you when the going gets tough. When the going gets tough on the job, your colleagues, co-workers, clients, vendors, suppliers and others will be there for you, too — as long as you cultivate relationships ahead of time. Build bridges before you have to cross the river. Diagnose the dilemma. The more you learn about your condition, the easier it is to overcome. Similarly, the more you analyze your business challenges — from deadlines to difficult clients — the sooner you'll resolve them. Heed the healer. When you're sore after surgery, your doctor recommends remedies. If your business is hurting, a business coach, mentor or trusted colleague can suggest solutions. Practice makes you proficient. Early falls and stumbles make you grumble, but finally you conquer the crutches. Launching a new social media campaign can be equally frustrating — until it attracts new and better clients. Deal with the downs. Some days, you hurt. Accept that. Hurt happens in your career, too, due to objections, rejections, miscommunication, missed sales, broken promises and other setbacks. Without bad days, you can't appreciate the good ones. Contemplate how you'll celebrate. Ultimately, you'll recover. Plan now for how you'll celebrate then. Decide how you'll reward yourself once you get the goals you set. Fred Berns coaches, writes promotional copy for and speaks to business professionals worldwide. He's the author of the book "Sell Yourself! 501 Ways to Get Them to Buy from YOU." For more information, visit WhatsYourOnly.com, email Fred@Whatsyouronly.com or call 303-589-3013.